So, full spoilers were released for the Popsugar Must Have Neiman Marcus Special Edition Box that retails for $250. These boxes are still available if you're interested in purchasing it. This year Popsugar sold the box at select Neiman Marcus stores, so spoilers were released early as the box went on sale yesterday in stores. 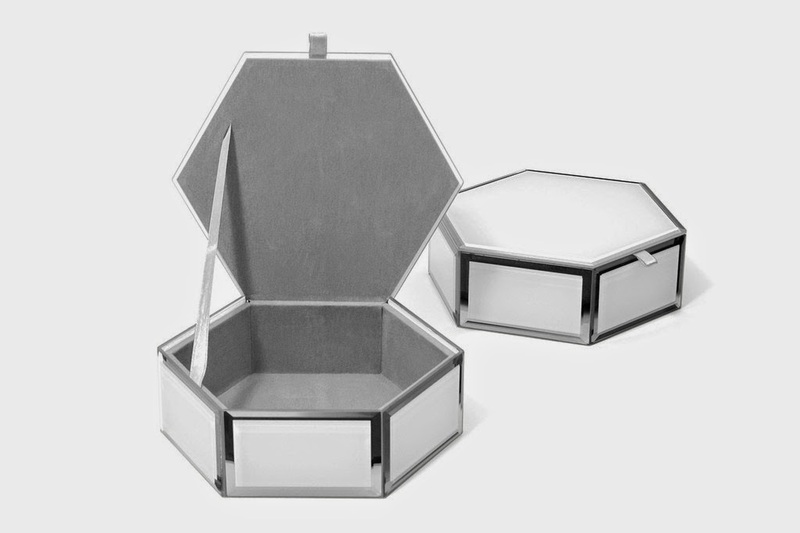 Do you remember last year's Neiman Marcus box? It was fantastic, and I was hoping this year's would be the same. I was extremely underwhelmed and should not have looked at the spoilers because this was purchased as a gift for me for Christmas. But after hearing about many disappointed reviews I knew I had to peek. Good thing my guy doesn't read my blog, so he won't know I looked. I felt the need to vent a bit about this box, because I feel like the $250 could have been spent elsewhere on much better items. And I feel like crying because I made my guy buy this for me and it really isn't worth what he spent and now I have to act excited when I receive this way over priced gift. I would definitely be fine with this box including a handbag, but a clutch is so similar to what was included in the Popsugar Must Have Resort Limited Edition Box in the spring. The clutch was criticized in that box, because the quality was low and it didn't have a strap and that box was only $100. You'd think Popsugar would take these comments into consideration. And the value does not seem there for me with this clutch. For this to be a practical bag for me to carry, I would have liked a strap. I think I'll like this in person and this is the type of item I was hoping for in this box. Something unique and pretty. This would have been perfect if the box also contained a jewelry item to put in the box. I'm kind of over getting candles in subscription boxes. We just got one in the October Popsugar Must Have box. This may be a luxury brand, but I wouldn't pay $88 for a candle. It better smell amazing! 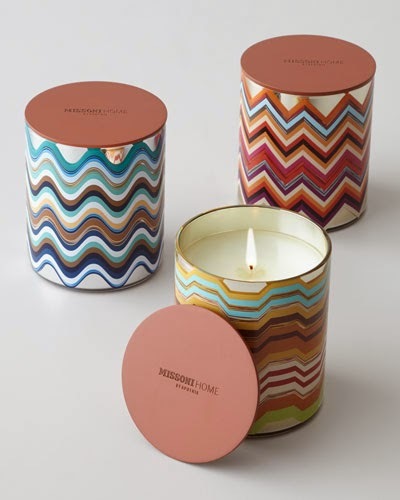 I loved the candle included in last year's Neiman Marcus box with a woodsy fragrance, perfect for winter. I hope this is even better or it's not worth the cost to me. Really $100 frame???? And they're sending it in a cream color (I think). It just seems so plain and boring to me. 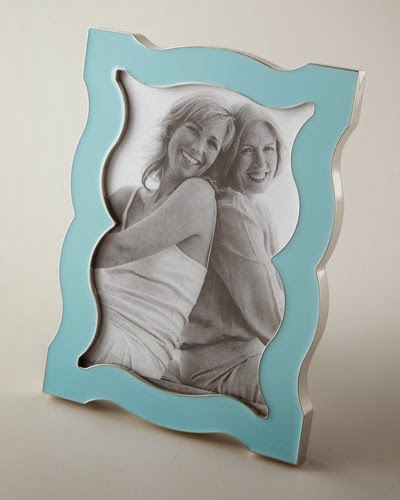 And we also received a picture frame in the October Popsugar Must Have box. I really could have done without this. I would have preferred a jewelry item or something different for the home, like a throw pillow or a vase or something you don't usually receive in a subscription box. Hot chocolate is okay. I would have liked a more unique treat like they included last year, but oh well. I won't complain too much about this fairly low value item. I've never tried this brand, so I'm hoping it's yummy. 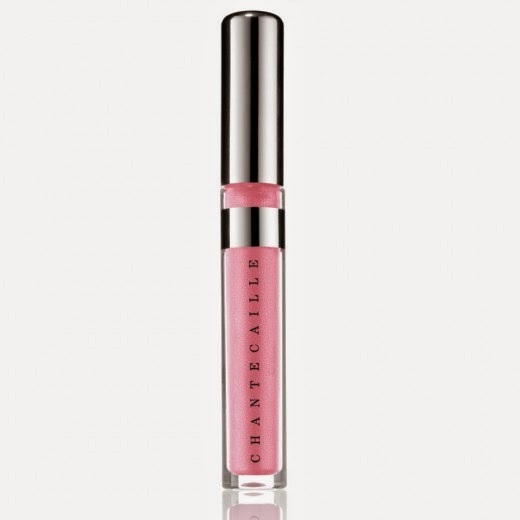 I really don't need any more lip gloss. Seriously. I've also never tried this brand, but I'm not too thrilled about the product. 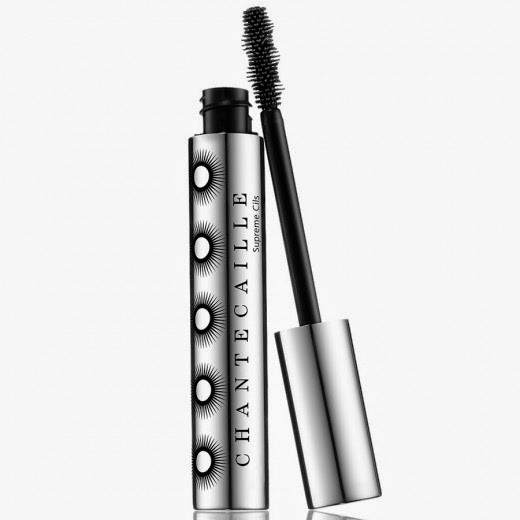 Again, I'm not familiar with this brand, but $52 for mascara??? Even if I love this, I won't be re-purchasing at that price. I preferred the beauty items included in last year's box over these as they just seemed more curated to the box. 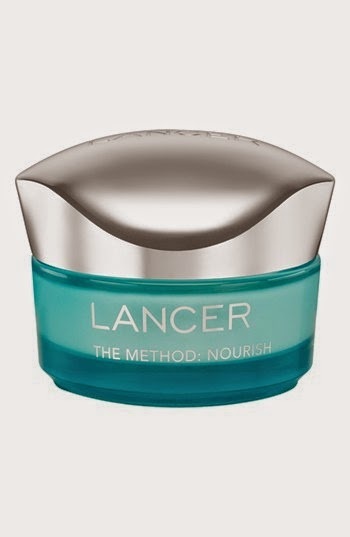 I've never heard of this brand either, but this cream better be amazing for $125. Geez. What's with the way over priced beauty products??? I would have preferred other items instead. So, that's what was actually in the box. I keep thinking about last year's box and how amazing it was in comparison. I was hoping this box would have been similar, but it doesn't even compare in value to me. I loved every item I received in the Neiman Marcus box last year and still love and use every thing. This box seems very meh and I feel bad for wasting my boyfriend's money. Lesson learned. I will probably be cancelling Popsugar Must Have, because it's been very disappointing the past few months. And now for some fun. 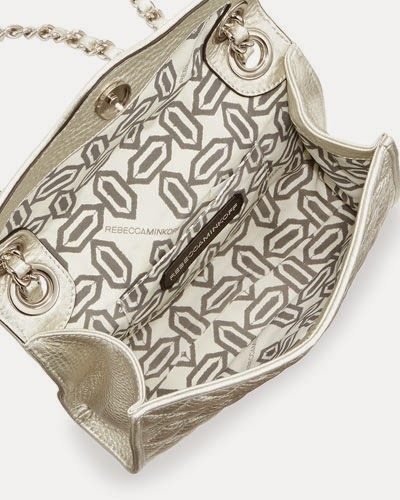 Since we know what was really in the box, and most people were disappointed like me, let's talk about what we would have wanted in the Popsugar Must Have Neiman Marcus Limited Edition Box. Like I said above, I would have been thrilled with a handbag if they collaborated with Rebecca Minkoff or Kooba to design a special edition bag for this box. 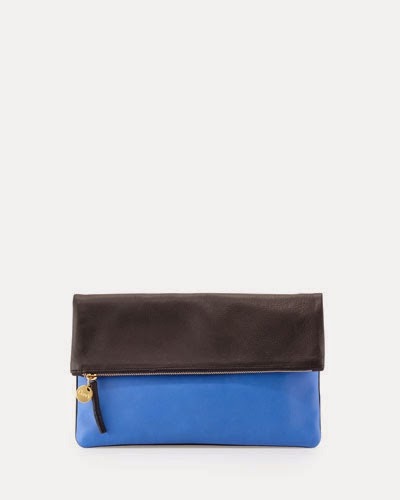 Looking at the Neiman Marcus website this Rebecca Minkoff bag stood out as something I would have liked better than the clutch. It's shiny and would be great for holiday. It looks like a classic and has a shoulder strap. It also retails for less than the Clare V at $130! Or they could have included a fun wallet instead of the clutch, or a wristlet. I just wish it would have been anything but another clutch. I look at the Neiman Marcus website and think of all the items they could have included that would have been more fun and special! Last year it seemed like my best friend curated my box and put in items that I was sure to love. This year's box seems less than special and not even me. I could go on and on posting pictures of amazing jewelry, amazing home pieces, amazing accessories that they could have included. 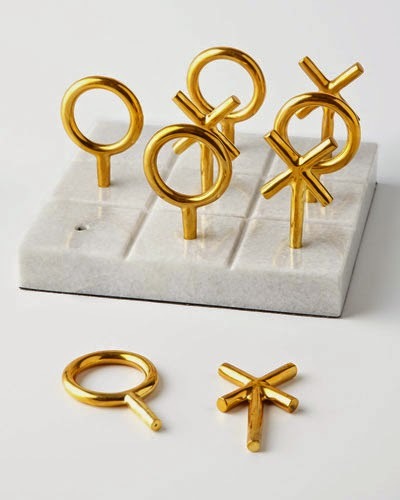 There is so much great stuff on the Neiman Marcus website and everything screams luxury. 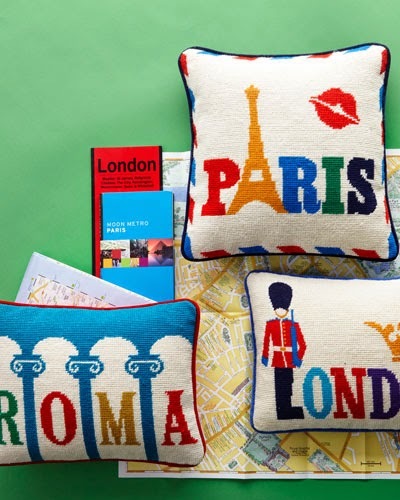 I would have loved a throw pillow, for instance, or anything from the Jonathan Adler line. 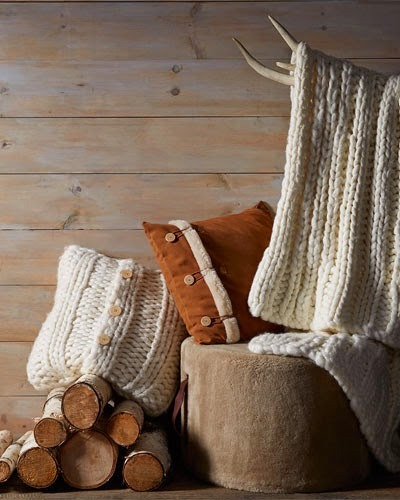 Like these Ugg pillows are so cozy and luxurious looking. Why can't we be getting something like this?!? I should have spent the $250 on items I knew I would love, but I really thought it would be like last year where I did love everything. 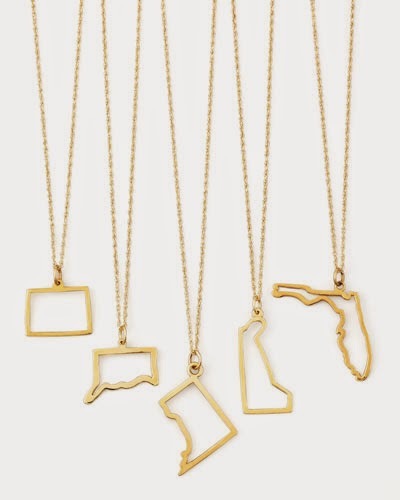 I also love the idea of customizing each box a little, like if everyone received a Maya Brenner Design necklace from the state they live in. How cute is that?!? Yes, please. 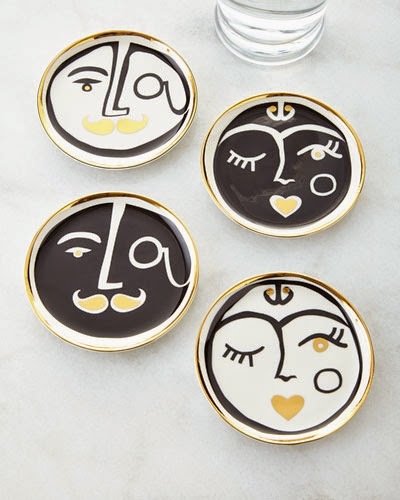 And because I love Jonathan Adler and was really hoping for another item to be included in this year's box, here's a few more pictures of items I would have loved. 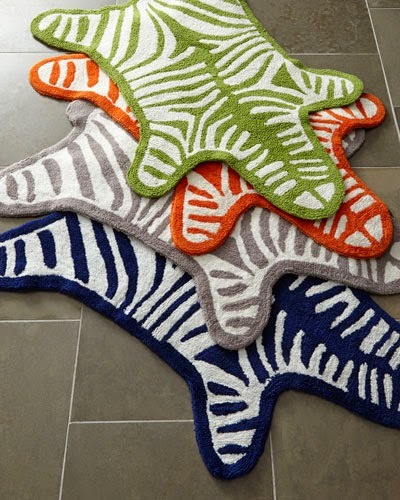 These pillows are fun and bright. These may not have gone with everyone's decor, but I know I would have made one of these pillows work somewhere in my house! Wouldn't it have been great to receive a fun, luxurious game to play with friends/family throughout the holidays?!? This is the type of item I was hoping for. Something you never knew you needed, but use over and over. 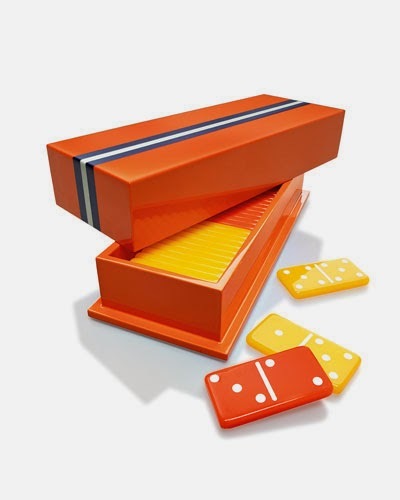 I might have to splurge on one if these dominos or tic tac toe sets from Jonathan Adler. And if they really wanted to include a frame, why couldn't it be a cute color and shape like this one? 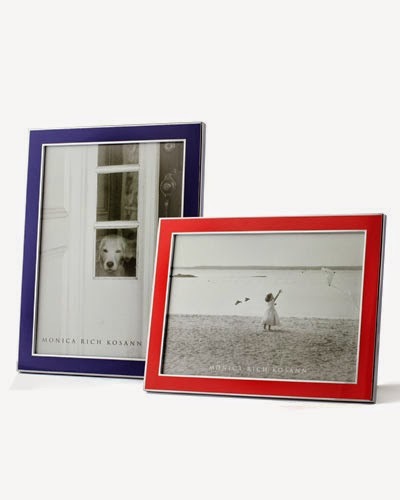 Or better yet, a different home item like coasters or a bath mat. I don't think anyone would have complained about receiving either of these. I know I would have been ecstatic about it. I'm done dreaming about what I would have loved in the box, because the truth is, they're not in there. And I now know it is best to spend money on things I know I'll love instead of taking a chance on Popsugar Must Have. I will say last year's Popsugar Must Have Neiman Marcus box was the best subscription box I've ever purchased, and there has been many regular Popsugar Must Have boxes in the past that were amazing, but recently they have been extremely underwhelming and lackluster. 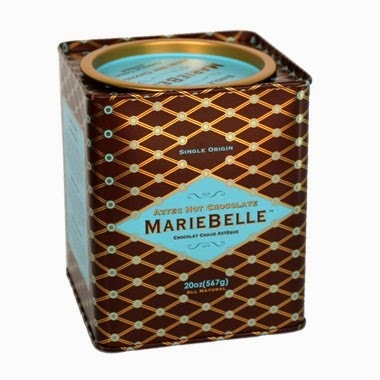 What are your thoughts about this luxury Popsugar Must Have Neiman Marcus box on sale for $250?